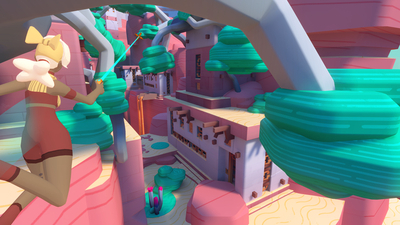 - Grappling hooks focused locomotion with parkour platforming. - Variety of expansive areas that reward exploration. 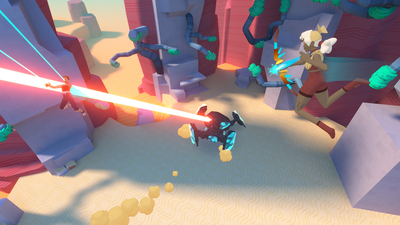 - Single player or up to four player Co-Op. - New Bow Weapon to use alongside the hooks in epic titan battles. - Fully voiced storyline with NPCs and world events. - Optional skill based Speed Run Races and collection challenges with Leaderboards. - Multiple advanced modes, including "no hooks", "one life" and "hook anything". - Collectables, Easter Eggs and Achievements that reward exploration with new hooks as rewards for completers. 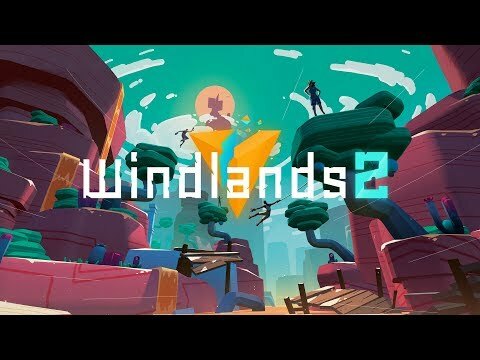 Windlands 2 is a lot of fun. The movement and combat are both a huge amount of fun, they just fall short of being perfect. The new co-op features make this a fantastic game to play with friends, and it is here that the game is at its best.